French brand sunglasses, Starck Eyes launched the latest collection. 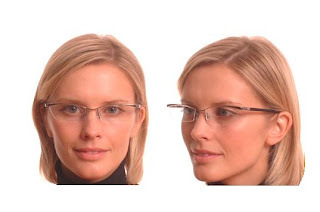 Present collection glasses to the needs of users who also take into account the features in appearance to answer. Starck Eyes was first designed by Alain Mikli and Philippe Starck, the duo friends who have 30 years. In 1995 they decided to work together. Now, Starck Eyes continues to expand operations in Asia, including Indonesia. Through its launch in Optical Melawai in Jakarta, Wednesday (02/23/2011) Starck Eyes introducing new collections, namely Biolight, Alux and Biozero. Biolight is a collection of rimless glasses for men who like minimalist style. With features transparent, Biolight fits perfectly with the lines of the face of the wearer. Biolink Technology allows Biolight wide open in every direction. Both this collection is the latest technology Starck Eyes realized how important the sense of vision for our lives. Collections using gravity technology, materials are never used in the glass industry. This technology offers excellent performance for the collection and Biozero Alux. The event was also attended by Kamen Chung, CEO Mikli Asia Limited, which also share ideas on "BioVision, " a primer on how Philippe Starck and Alain Mikli, the eye of the future created. It seems a number of male artists Capital as Surya Saputra, Ben Joshua, Gunawan, and others. Optical Melawai also worked with three renowned interior architects of Indonesia, namely Roland Adams, Alvin Tjitrowirjo and Yuni Jie to decorate Melawai Optical outlets in new locations, Plaza Senayan 2nd Floor.